Richard A. Dimino has served as the President and CEO of A Better City since 1995. Under his leadership ABC significantly influenced the development of a twenty-seven acre corridor along Boston’s waterfront, launched successfully its Sustainability and Climate Change Initiative and played a key role in shaping Massachusetts’ Transportation Reform Legislation. Prior to his time with A Better City, Mr. Dimino served as the Vice President and Deputy Manager of Stone & Webster Engineering Corporation’s Transportation Business Sector. This position followed nearly a decade of service as Boston’s Commissioner of Transportation. Mr. Dimino received his Master’s in Business Administration from Boston University in 1994, completed a Loeb Fellowship at Harvard University’s Graduate School of Design and has been a lecturer and studio critic at Harvard University on “Transportation Planning and Development”. 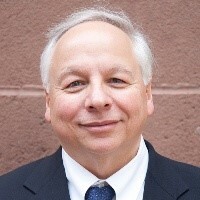 Mr. Dimino currently serves as a Vice Chairman for the Boston Harbor Association and Chairperson of the Harbor Use Committee, Chairman Emeritus of the Metropolitan Area Planning Council (MAPC), and Board Member of the Boston Society of Architects.